The Energy Star program is strategic approach to energy management, promoting energy efficient products and practices. The Energy star program was developed by U.S. Environmental Protection Agency in 1992 due to concerns about the increasing environmental crises. It has included its Energy Star logo on many products so that consumers know to find best energy efficient products that are earth friendly. Energy Star logo consists of blue star and “energy star” written below it. These logo is symbol of product begin Eco-friendly and consumes less energy as compared to the other products which doesn’t have logo. Energy Star rules and specification regarding products are effective and rigorous. 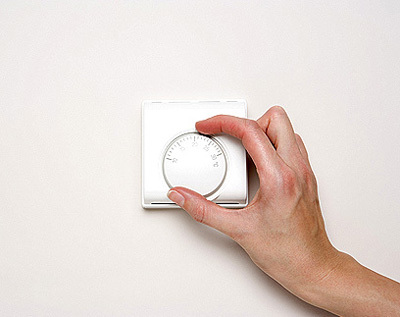 These products are tested for energy consumption percentage and its usefulness. For example, refrigerator with energy star consumes less electricity as compared to other which doesn’t have energy star; appliances that use water, they utilize less water than other appliances that are not energy star labeled. Energy efficient appliances are designed for energy saving, economic saving and pollution reduction. Such appliances are more convenient for consumers. Almost every home appliance can be Energy star certified which further helps lot in economic saving, electricity consumption decreases and work efficiently for long period. 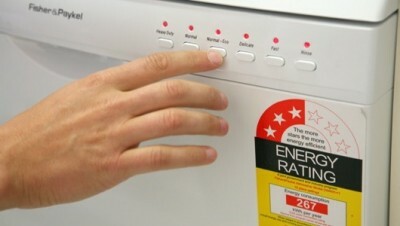 According to research energy star labeled appliance uses 3/4 less energy compared to regular non-energy star products. The energy saving certified household products include dryer, dishwasher, freezer, cooler, refrigerator, TV, water coolers, computers, fan, ventilators, light etc. In fact consumers are unfamiliar that some products are also available with Energy Star labels. Products like dehumidifier, water heaters, water coolers, boilers, heat pumps, solar appliances, decorative lights are few to name. Even Solar appliances have energy star and are most efficient for consumers. All such basic home appliances make energy efficient home. Environment friendly person surely wants to own such products but it not possible for all to do so. One of vital reason for this is cost. Such products are quite expensive that are available in retail market. But some owners prefer to upgrade their appliances as soon as new product with Energy star label arrives in retail market. During remodeling or construction of new home they sell such products which are still in working condition and are energy efficient. Those who still can’t afford energy saving product new one, can opt for in-store sales, stores where used appliance are available which are still in good working conditions. Such stores sometimes offer discount too. Also they can go for stores which sales green energy efficient product on sale due to cosmetic damage on it. Cosmetic damage can never affect working of machines. Slightly damage of machines look only reason for it sale in lower prices. Cosmetic damaged machines are best for those who want Energy Star labeled products at lower cost and still be benefited from its energy saving, economic saving. Cost of brand new products having Energy Star depends on number of stars labeled on product. So its cost is directly proportional to energy saving capacity of machines. Also economic saving and Eco-friendly makes Energy star labeled products high demanding for consumers. Energy star Labeled products are overall significantly benefiting products for household. The first and foremost thing is to know exactly what you want. Suppose you want to buy an energy-efficient washing machine. It is not like; you go to the store and buy one straightaway. You should have to consider your budget; you should know how much you can actually pay for the machine. The ease of use might lead you to a top-loading washing machine. But the real fact is that, front-loading machines are more energy-efficient, even though the price is a little bit on the higher side. Before calculating how much you can spend, you should take into consideration the amount of money you can possibly save in the future. Your appliance is going to last for a long time and so you will be saving more money every time you use it. There is no doubt about the high price tag of energy-efficient appliances. So it is recommended to save before you purchase one. Using such appliances will make your home environment friendly along with saving you some money.